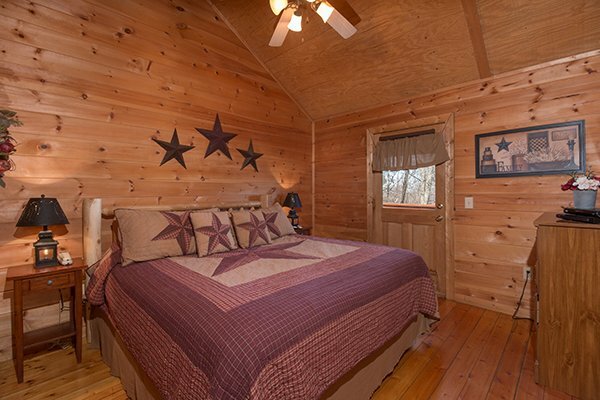 Wake up to Sunny Side Up, a charming two bedroom cabin conveniently located between Pigeon Forge and Gatlinburg. 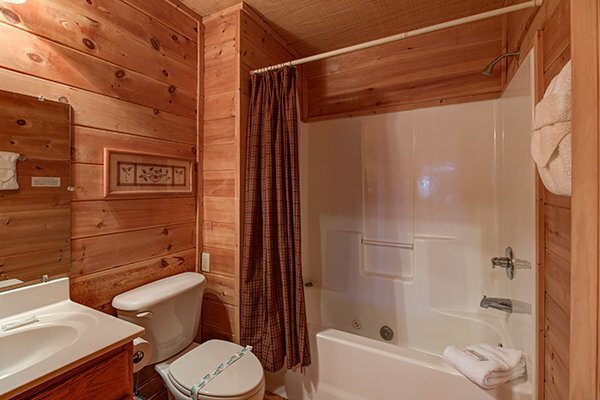 This cabin has two bedrooms, both with king beds and each with adjoining bathrooms where you can soak away your troubls in the jacuzzi tub. 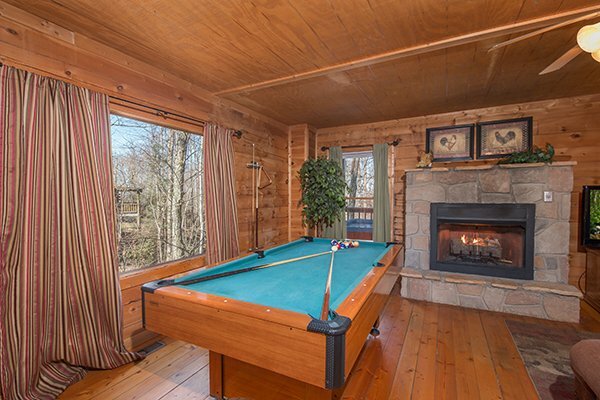 Or relax in the living room while you enjoy the gas fireplace and play some billards on the pool table. 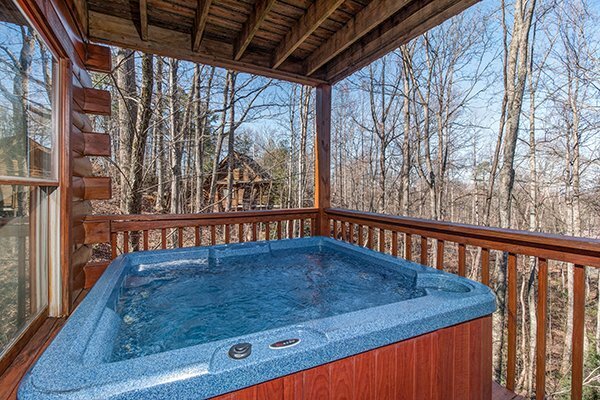 The hot tub, located on a covered deck, will soak away all your worries. 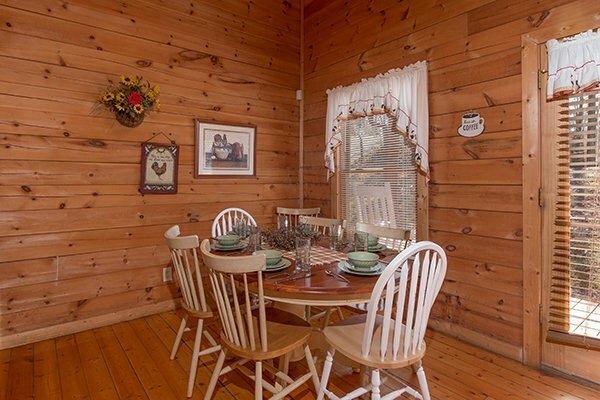 A perfect cabin for a quick getaway or a long over due extended vacation. Still want to keep up with the outside world? 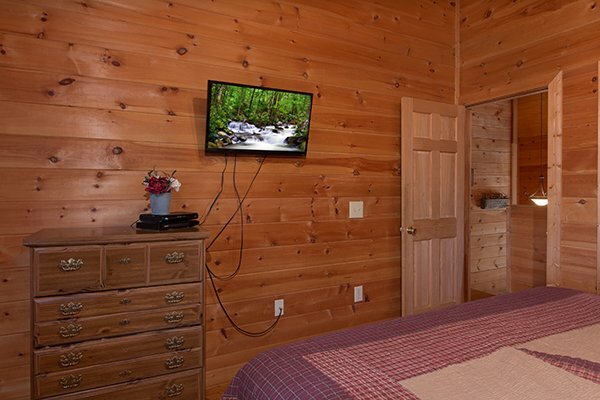 This cabin is also equipped with wireless internet. 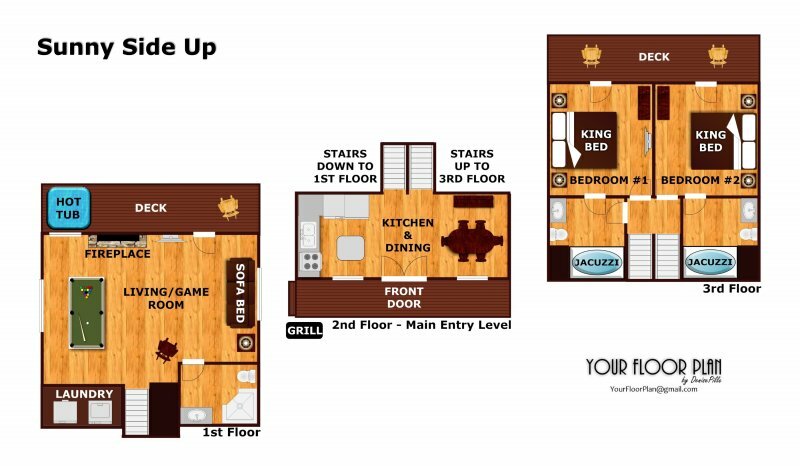 Don't miss out on relaxing evenings and exciting mornings! Order your stay SUNNY SIDE UP! We stay at this property every year for the past 3 years and never have any problems!! We bought event tickets through ya'll this year and we will defiantly do that from now on. The staff was wonderful! Every person I talked to was so nice and actually cared about helping me with any questions I had. 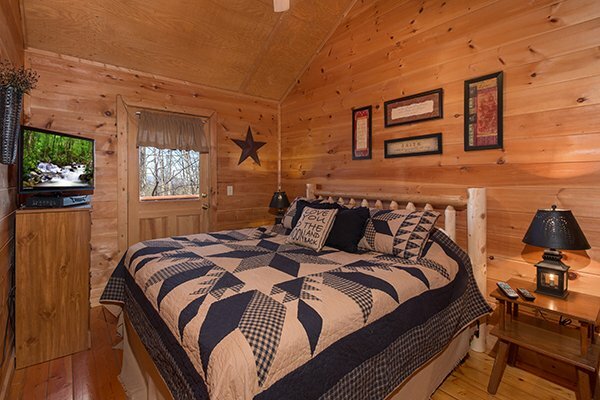 I refer Patriot Getaways to EVERY person that asks about places to stay in Gatlinburg. 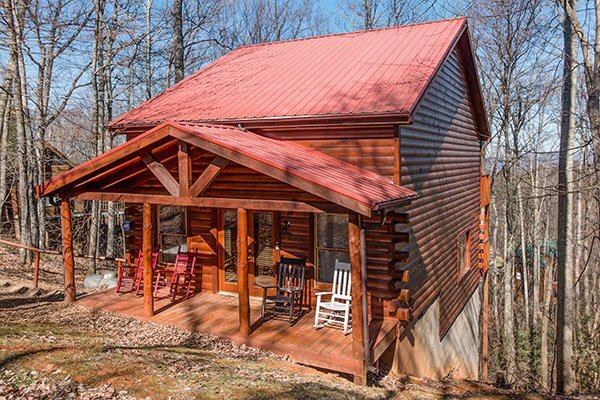 My family and I absolutely loved this cabin, everything about it, and the view off the decks is amazing! We would most definitely stay again! This was our first experience staying in a cabin and it was awesome. We absolutely loved it and for sure want to do it again. Kitchen was well stocked with different items. Thanks again. Amazing cabin!! Very clean, very well stocked with just the right items in the kitchen. 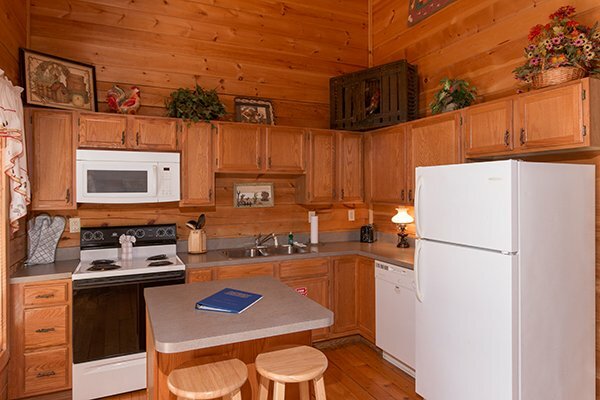 This was our first visit to the Pigeon Forge area and our first cabin rental. We loved our experience and will definitely come back! Thank you for having a pet friendly cabin option! The cabin was very nice very clean. We really liked where the cabin was located. This was our first time staying in a cabin and as soon as we got there we already decided we were going to come back!! We didn't want to leave!! 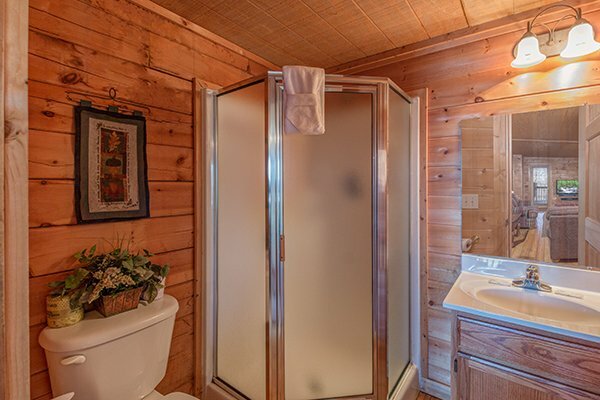 We had an amazing time staying in your cabin. 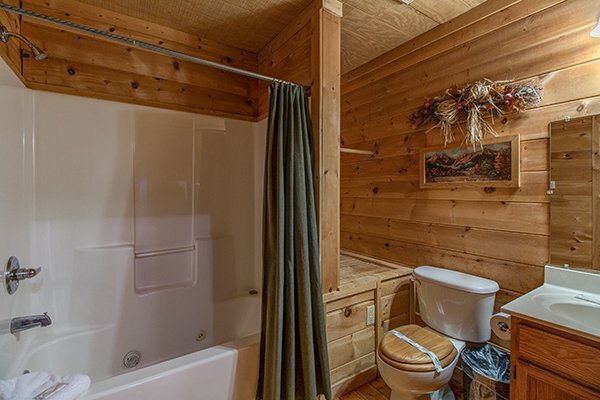 This was our first experience in Tennessee and in a cabin and we loved it. We are going to do it again for sure. 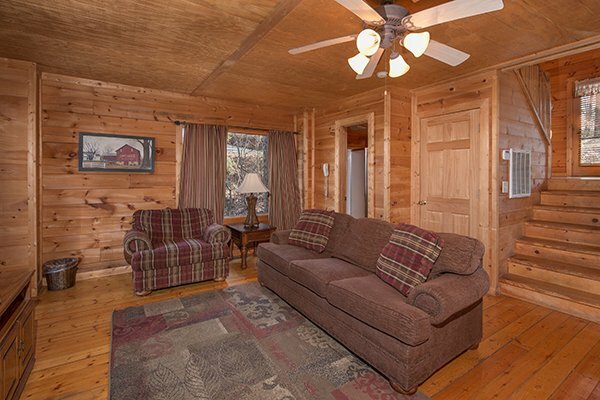 Our cabin was absolutely wonderful and had plenty of room for the whole family. 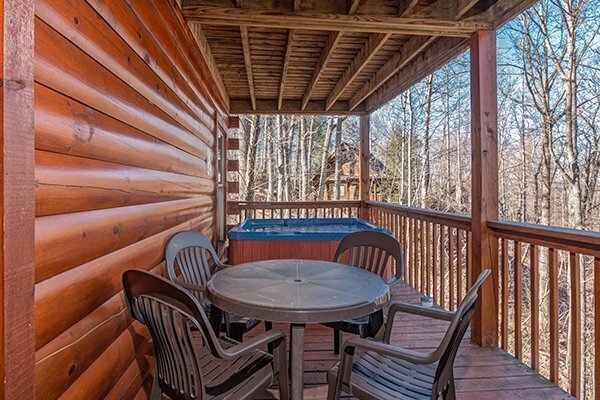 WE loved the hottub and the area was just beautiful. Cant wait to go again!!! 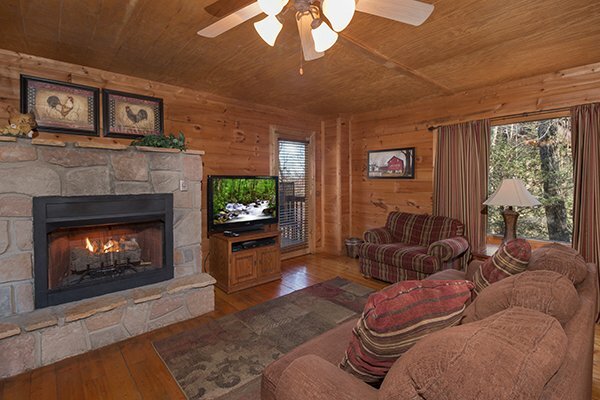 We plan on going back in October/November and we will rent our cabin with your company again!!!! Our cabin was beautiful. Our visit was wonderful. 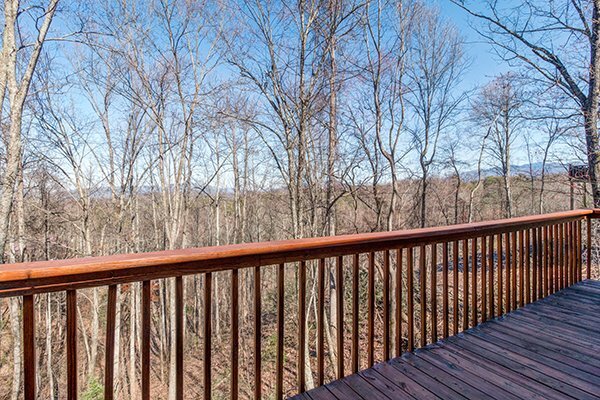 This was the perfect location between Gatlinburg and Pigeon Forge. My family will surely be staying with you all again in the future. Great experience!!! The roads leading up to the cabin were a little dicey ,but thats part of the deal.The cabin was fantastic.We would definitely do it again .The key lockbox on the cabin had to be replaced, and the maintenance man was friendly and efficient.Again,a wonderful time had by all.Keep up the good work.